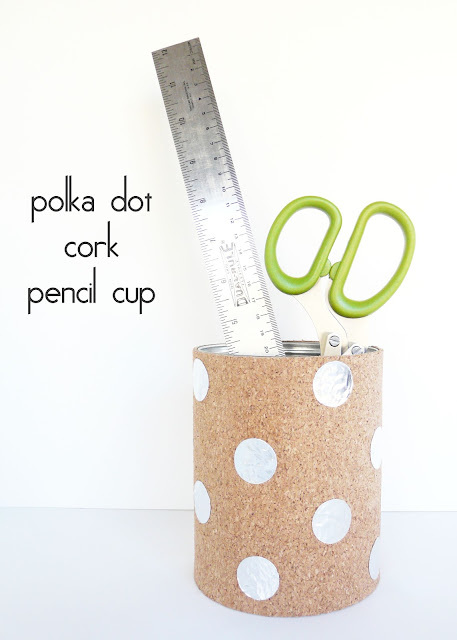 [Make] Cork Pencil Holder... with shiny polka dots! 1. find a cylindrical container with smooth sides. i used a small bucket leftover from this party, but a tin can will also work well. clean the container well before you get started. 2. roll out your cork and place your container on the bottom edge. 3. mark off the top of the container with a pencil. i also measured my container with a ruler to get an accurate measurement. draw a straight line and guess-timate how much cork you'll need to cover the entire container. it's always best to over-estimate and cut it down to size later. 6. foil tape to the rescue. 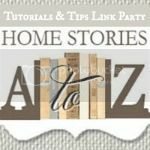 foil tape is very versatile and i have used it for several projects that need a little shine. it can be found in the air conditioning/ventilation section of a hardware store. one of the best things about foil tape is the backing... which makes it a good candidate for stickers. i used my circle cutter to cut out circles, but a hole punch or other paper punch would also work. if you don't have a punch or circle cutter, foil stickers should work. 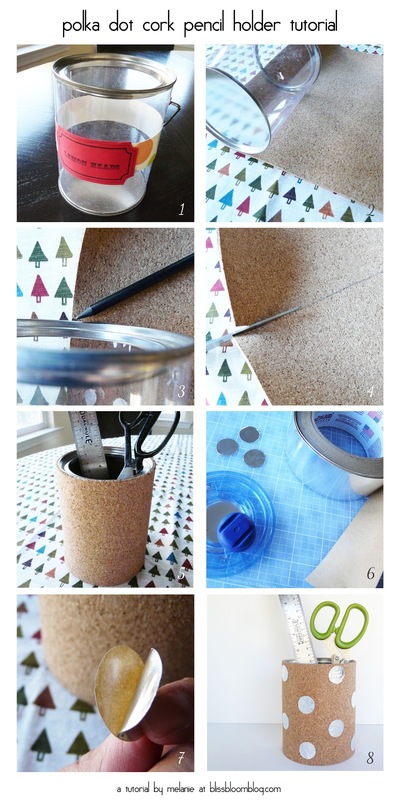 7. remove the backing of the foil tape circle and apply it to your cork pencil holder. 8. the finished polka dot cork pencil holder! Cork... my latest infatuation. More of it coming up!